Australia has many beautiful locations and cities. That is why you have to plan your travel well to enjoy them. You can visit and still come back again to continue with the visit. Being one of the largest islands in the world, it is the smallest continent. The sights to discover are awesome. You can go to walk adventures. Here are the top 5 places you cannot miss in Australia. Many people love to sample the top wines in the world. If you visit Australia, one place you should not miss is the Hunter Valley. The best thing is to arrange for a tour in the valley. Located 2 hours from Sydney, the valley remains the oldest wine areas. It is famous because of the Semillons and hundreds of wine making plants. If you want to visit the olive groves and vineyards, the Hunter Valley offers you that when you go on tour. The lake is an ideal place you cannot miss when you visit Australia. Located in Frazer Island, you can have a real experience playing and swimming in the water. In fact, Frazer Island, is the world biggest Sand Island. But it is surrounded by crystal clear and calm blue lake for visitors who have time to enjoy. The place has sandy beaches and forests. With all the fun you have, this spot is located in a serene location sitting 100m above the sea and with various sand dunes. It is the capital city of Victoria. It sits in the south East parts of the natural Port Philip bay. It is the ideal place for visitors who want to sample the cultural heritage in Australia. It offers shopping experiences and restaurants. You can visit the Street art functions, the Dockland and Cooks Cottage. The oldest prison in Melbourne known as the Old Melbourne Gaol Crime holds the famous characters. For those travelling with kids, you can visit the zoo and the aquarium. The aerial view of Brisbane is a spectacular to view. Located in Queensland, it has good weather all round, good sceneries and local inhabitants that welcome visitors. The city has various attractions that make it the best place not to miss. From here, you get South Bann Parklands that has entertainment places, different games and parks. To see the Koala, you must visit the Lone Pine sanctuary that holds Koala. The Gallery of modern art is an ideal location not to miss. 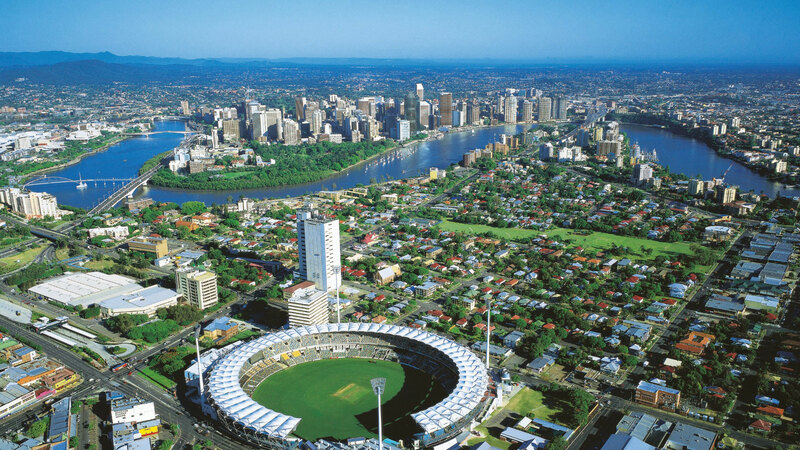 You will also visit Brisbane River and the St. Helena Island. The rainforest is a spectacular sight you should never miss. But to reach here, you have to travel to Cairns in the North of Queensland. It is a world heritage center, and when you reach here, you will enjoy bush walks, cruising in the early mornings. You can also go to the crocodile sporting expedition.